Followers and Companions can going on a trip to towns and dungeons. Followers and Companions can go for a trip. They will visit towns and dungeons. They will accepted Bounty Quests and rewards can be obtained. It can disabled by MCM. Not limited to Followers and Companion. Can accept All NPC, If you want. You can change setting by MCM. Followers and Companions will go for a trip during the weekdays, but not on weekends. They will come back to their default location on Saturday and Sunday. 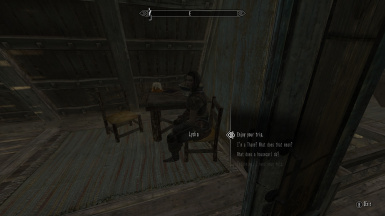 For example, Lydia will come back to either Dragonsreach or Breezehome. Otherwise she will come back to near you. If she was followed to you. Followers will find their next destination automatically and dynamically pick it at random from all available location in game, including Solstheim and other additional Locations if you have the DLCs. They will visti taverns, shops and temples, whilst in a city. They will sometimes enter caves and dungeons. Will get little amount of gold if return safely. 24 Followers can be sent on a trip at the same time. 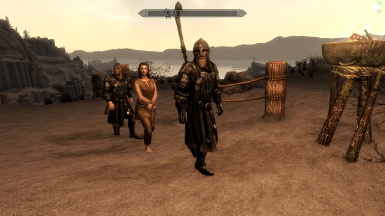 This mod shoud work with any additional Followers and Companions from any other mods. NPC will accepted Bounty Quests. if Quest was started by player. NPC vs Bounty Target battle is use simple battle result formula. If you are not near to their. Victory or defeat depend on small part Character Level, greater part Luck. NPC will not killed in this battle. They will try again after a while. if defeated. 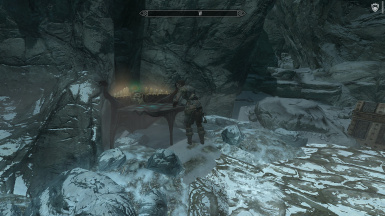 They will looting gold from dead body and receives a reward by Jarl or Steward. Of course, you can receives a reward before the NPC. Bandit and Forsworn will capture Follower and carted to another camp. 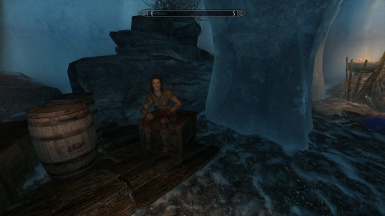 if Follower was defeated at Bandit camp or Forsworn camp. They wander each camps with the Follower, until you release Follower. 1. Check Map Marker for bounty quest. 2. Track and Find bounty target and Follower. 3. Kill bounty target or Activate Follower. NPC will not killed During carted. NPC whether to accept Bounty Quests. Can accept All NPC or Not. Caution! If enable this option. It may become Quests got stuck. If important NPC start trip. There are cases where NPC not start trip. If NPC default behavior priority was higher than this mod. Come back to their default location or re-follow to you. All related NPC. Display text notification for NPC location. Bandit and Forsworn will capture Follower. Follower no longer stuck in "Broken Oar Grotto". Extensible Follower Framework "Set Residence" feature work correctly. Followers sandbox behavior no longer bound by this mod. if staying in their home. Wandering behavior priority was increased. 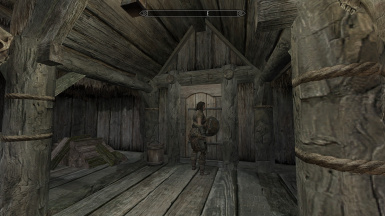 Copy the archive contents into your Skyrim/Data folder or simply use any mod manager. 2. Select to "Enjoy your trip" in Dialogue options. 1. Talk to the Follower. 2. Select "Please come back" in Dialogue options. Should be Compatible with all other mods. 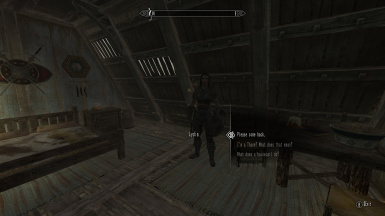 This mod does not modify any Vanilla data. I'm sorry about my poor English.